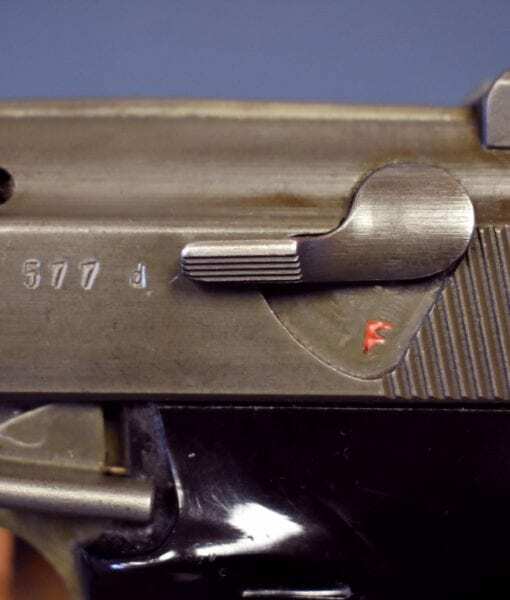 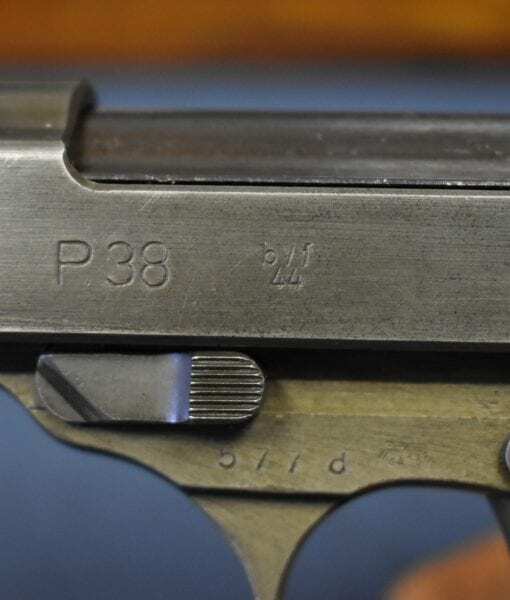 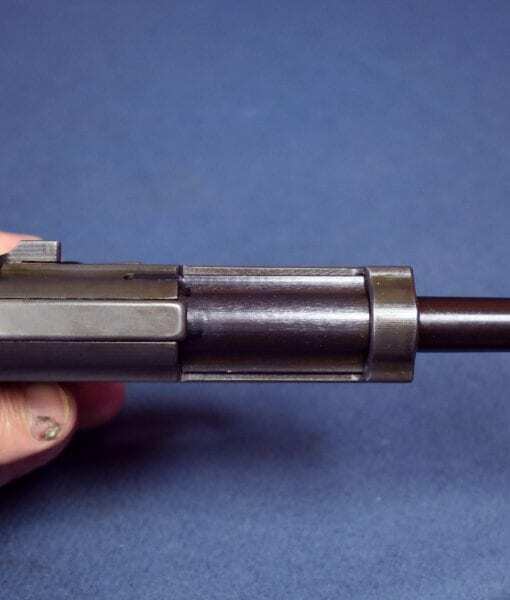 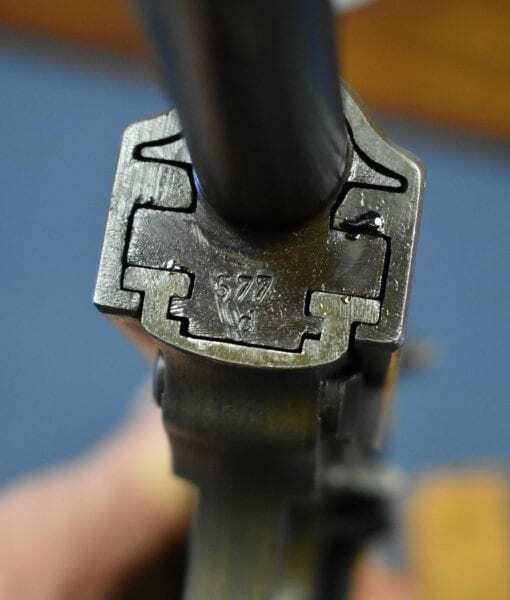 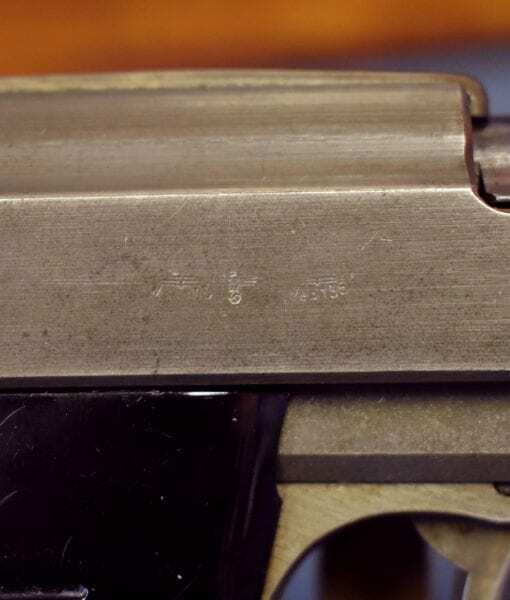 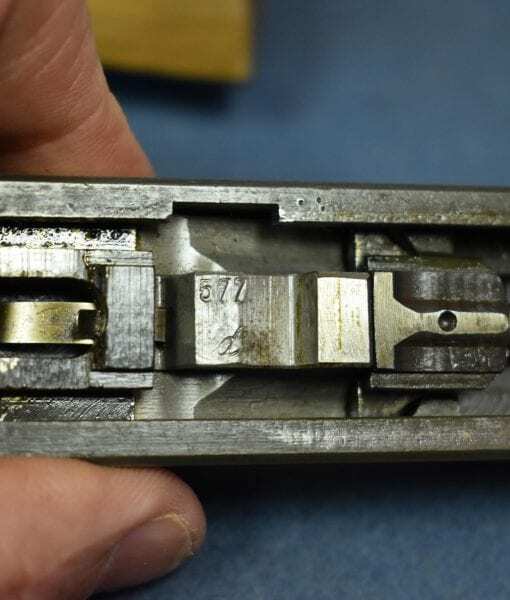 sold MAUSER byf 44 P.38 DUAL/TRIPLE TONE FINISH WITH LIGHT & DARK GRAY PHOSPHATE……..MINT CRISP! 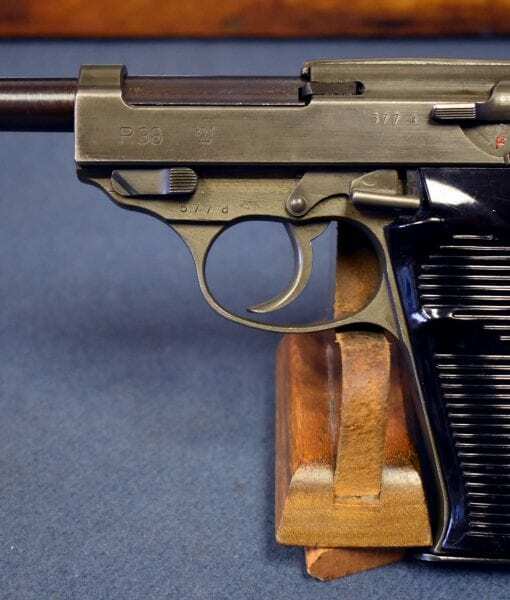 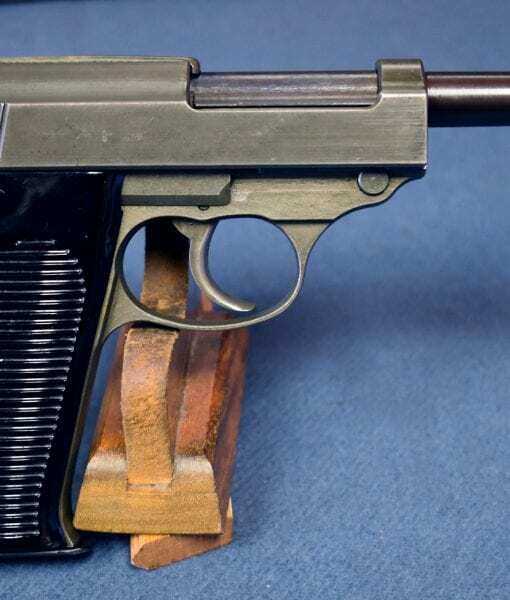 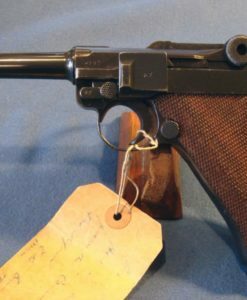 In 98% mint sharp condition, we have a top example of the very well known and highly desirable Mauser made byf 44 dual/ triple tone finish P.38 pistol. 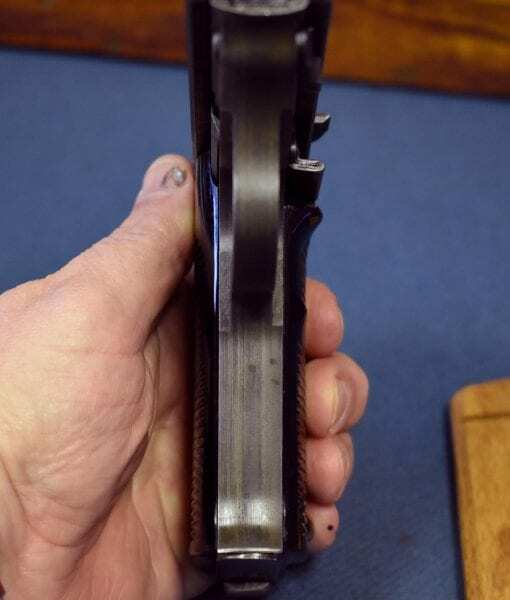 This is the most desirable of these pistols with the highly sought after dark gray phosphate finish on the slide and a light gray phosphate on the frame. 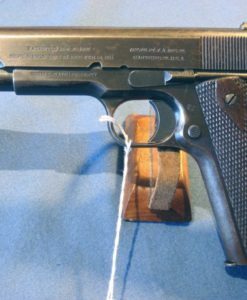 This pistol is 100% factory original and completely matching and has a mint bore. 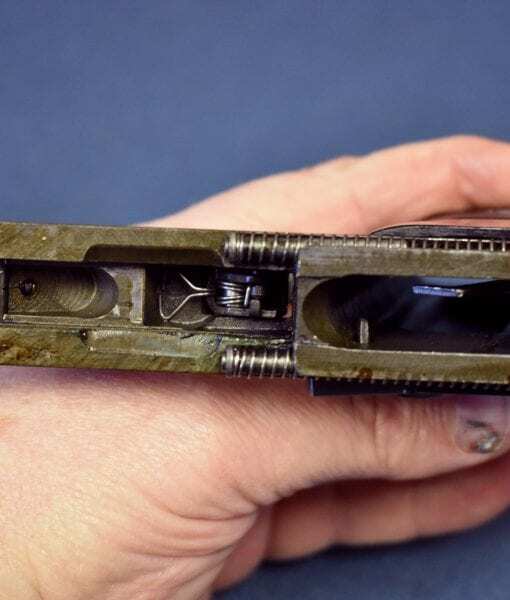 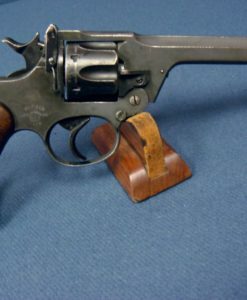 Collectors call these pistols “dual tone finish” because the parts are in various combinations a mix of blued and phosphate finished parts. 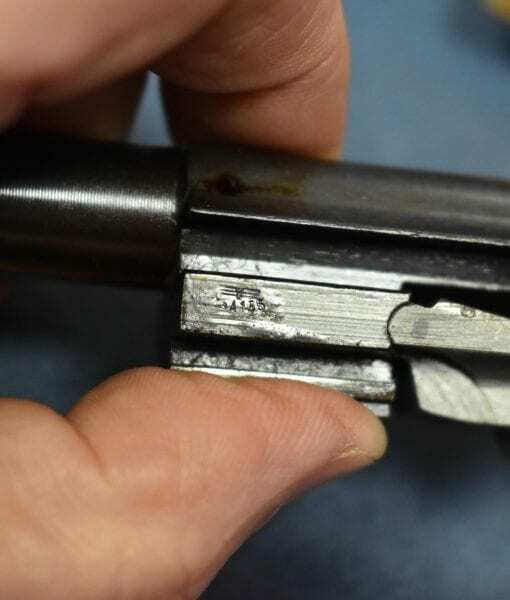 The color of the phosphate can range from a very light gray to a dark gray to a very greenish gray. 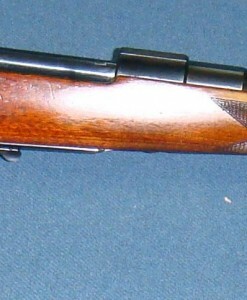 This example has the very striking and rarely seen triple tone where there are two distinct colors of phosphate and the blued barrel. 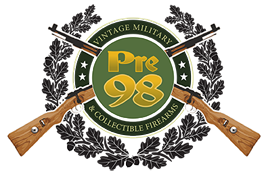 This is a must have for serious P.38 Collectors.